The Santa Clara 2018 Futures Championship Series dives into action this week from August 2-5. Skilled age group and collegiate swimmers from all over the western U.S. will gather in Santa Clara, Calif. to compete. Here are five swimmers to keep your eye on throughout the meet. Nineteen-year-old Cathryn Salladin of Fullerton’s FAST Swim Team is entered in six events throughout the meet. Salladin is seeded first in the 1500 free with a 17:00.05, over nineteen seconds faster than second seed Noelle Fimbres’s time of 17:19.18. Continuing to lead the distance events, Salladin is also placed first in the 400 free and 800 free with times of 4:20.23 and 8:54.72, respectively. Salladin is also seeded in the top sixteen in both the 200 free and 400 IM with times of 2:05.79 and 5:04.90. As sixth seed in the 200 free she will face close competition from fifth seed Sloane Reinstein and seventh seed Lily Gardner. Reinstein is seeded with a 2:05.53 and Gardner is seeded with a 2:05.82. Salladin will also compete in the 200 IM on Sunday. Backstroker Buenaventura Swim Club’s Niles Biolley is seeded first in both the 100 back and 200 back. Biolley is seeded with a 57.26 in the 100 back. Close behind him is Joseph Molinari with a 57.62. Biolley’s entry time in the 200 back is 2:05.19. The 20-year-old is over half a second ahead of Molinari, who is once again right behind Biolley with a 2:05.98. Fifteen-year-old Ana Adame of Canyons Aquatic Club is seeded first in both the 100 and 200 breast. Adame, seeded with a 1:11.76 in the 100 breast, has over a second between her and second seed Madeline Lewis. Lewis is seeded with a 1:12.95. In the 200 breast, Adame is seeded with a 2:35.54. With second seed Amelia Feick at a 2:37.13, Adame has a small gap between herself and her competitors. Adame will also swim in the 200 IM on Sunday. She currently sits in 13th with a time of 2:23.80. With eight other swimmers also seeded with times in the 2:23 range, Adame will have to fight to move into a higher position. Miles Mackenzie of Tiger Aquatics is seeded high in all three of the sprint freestyle events. His time of 1:52.25 landed him the top spot in the 200 free, over a second ahead of second seed Zachary Van Zandt. Mackenzie is also first in the 100 free with a time of 50.78. The 22-year-old is also seeded high in the 50 free; his time of 23.50 puts him in the second spot, only .27 behind first seed Alex Chan’s 23.23. 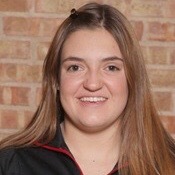 Mackenzie will also compete in another sprint event, the 100 fly. He is entered fifth with a time of 56.40. Sixth seed Mason Thompson is only .09 behind Mackenzie at 56.49 and fifth seed George Liu is ahead by .15 with a 56.25. Palo Alto Stanford Aquatics’ Jennifer Campbell will compete in seven events this week. She is seeded first in three of her events and in the top eight for two of the others. Campbell is seeded first in both the 100 and 200 fly with times of 1:01.93 and 2:16.40. In the 100 fly she is followed by Katelyn Crom with a 1:02.19. In the 200 fly she is over two seconds ahead of Maelynn Lawrence’s second seed time of 2:18.50. Campbell is also seeded first in the 200 free with a time of 2:03.71. She has over a second of cushion between herself and the second and third seeds. Second seed Sarah Snyder has a time of 2:05.16 and third seed Ryan Falk has a time of 2:05.20. In the 400 free, the 21-year-old is seeded fourth with a 4:23.43. She is sandwiched by two swimmers in the 4:22 range and two in the 4:24 range. Along with the 400 free, Campbell is also seeded fourth in the 100 free with a 58.07. There are eighteen other swimmers in the 58 range and two in the high 57 range, so Campbell is likely to face fierce competition in the 100 free. Campbell will also compete in the 800 free this afternoon. She has a nonconforming seed time of 9:16.72. Besides the butterfly and freestyle events, Campbell will also compete in the 200 IM. She is seeded third with a 2:22.05. She is followed closely by Haley Mayhew with a 2:22.18 and Crom with a 2:22.22. Also making the meet interesting is the number of young competitors. Many of the athletes are between thirteen and fourteen years of old, providing a large age range of competitors. Age groupers will compete with and against seasoned collegiate athletes, providing an opportunity for some interesting and close races. The meet starts at 4:00 p.m. PST tonight with the men’s 1500 free alternating heats with the women’s 800. The evening will conclude with the men’s and woman’s 800 free relays. The Friday through Sunday prelims session begin at 9:00 a.m. PST and the finals sessions begin at 5:00 p.m. PST.